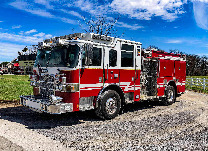 Thank you for your interest in the 1997 3D HME Rescue Pumper! Fill out the form below and we'll immediately start the process to get you more information. HME is proud to carry the Ahrens-Fox® emblem on its finest fire apparatus. Founded in 1910 in Cincinnati, Ohio by John Ahrens and Charles Fox, Ahrens-Fox® built its first motorized fire engine in 1911, one year before the end of production of horse-drawn fire apparatus. 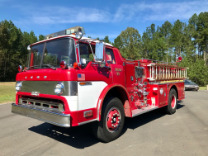 Ahrens-Fox® fire apparatus were known for their quality, power, durability, and long service life and served many departments, not only in the United States but throughout the world. Today, HME Ahrens-Fox® keeps this great tradition alive and pays tribute to its legacy with innovative and high-quality fire apparatus engineering that is worthy of the Ahrens-Fox® name.